Over 18 years of Architecture and Project Management in commercial, hospitality & attractions. With over 18 years of project experience, Noorita started her career in Architecture from back in 1998 as a student intern. From then on, since graduating with her Architecture degree, it has been a journey of various projects, ranging from school buildings, mixed-use commercial buildings to residential and high-end hospitality. 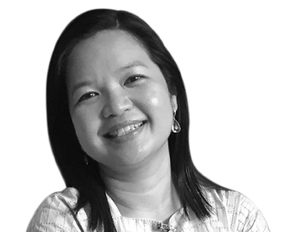 With her experience as both a Design Architect as well as a Project Architect in the course of her career, Noorita has overseen projects both in Singapore and Worldwide, from the early planning and design stage all the way through construction and completion. Her initiation into the Theme Parks and Entertainment Industry came about when Noorita was part of the opening management team for Singapore’s first Integrate Resort in Sentosa. During her tenure, she contributed her skills as a Project Manager to plan, engage and coordinate with Design Consultants and Contractors for various parts of the resort at all phases. The projects ranged from F&B outlets, retail outlets, hotel rooms and lobbies to Attractions in Universal Studios, SEA Aquarium and Adventure Cove Waterpark. Having worked closely with the various operational teams, she has built a breadth of knowledge that is key in meeting operational goals as well as delivering the wow in design. An organized person in nature, Noorita thrives working with deadlines, budgets and schedules. With a balance of creativity and managerial skills, Noorita believes that she can be a Jack of all trades!